In December 2017 Play’n GO added yet another game to their Classic Joker Series, and it goes by the name of Mystery Joker 6000. Very much like all Joker slots by Play’n GO this one too offers a classic game to players with a twist. Indeed, this game will not only transport you back in time with its classic 3 reels and fruit symbols. But it also gives you the chance to win big thanks to the Mystery Wheel and Super Meter features you’ll learn about in the below review. So, don’t miss it if you like fruit machines! Bonuses & features: Re-Spin, Mystery Wheel, and Super Meter. On first glance, you may think that Mystery Joker 6000 Video Slot is a very straightforward game to play and all you have to do is to press the spin button! Well, it’s true, but… It’s worth knowing that this Play’n Go slot comes with two different game modes. Indeed, after any winning spin, you’ll have the chance to activate the Super Meter by pressing the green arrow button that replaces the spin button. Of course, activating the Super Meter is not compulsory and cost a little bit more. But, you can also decide to press the blue collect button to resume the standard game. So what does the Super Meter do? It’s simple! It gives you more chances to trigger the Mystery Wheel where you can win up to 6000x your stake. And the reason why you’ll have more chances to spin the wheel is that you’ll only need 2 Joker hat symbols to trigger the feature instead of 3 symbols, in normal mode. However, it’s worth knowing that if you play in normal mode, you’ll trigger a Re-Spin when 2 joker hat symbols land on the reels. Mystery Joker 6000 Video Slot offers an excellent twist on classic slots. In fact, the Super Meter feature gives players the chance to customise their play based on their budgets. Also its worth knowing that unlike many popular fruit machines, Mystery Joker 6000 is available on mobile devices. What’s more is that the simple graphics and animation means that the game loads quickly even on 3G. 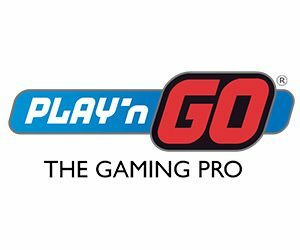 Play’n GO slots are available in all the UK casinos listed on this site. So you have plenty of places to choose from if you want to play this game. Additionally, it’s worth pointing out that even if this slot is quite simple, it is a high volatility game. So, it’s worth claiming a casino bonus to get more playtime with your deposit. Try it now and see what you make of this classic fruit machine! Have fun!